MANILA, Philippines - Earlier this week, a man who showed his private part to a student twice in different occasions while boarded on a jeepney was finally apprehended and has already been imprisoned. On Sunday, July 10, another perverted male advertently and maliciously exhibited his “manh*od” in front of a girl student. 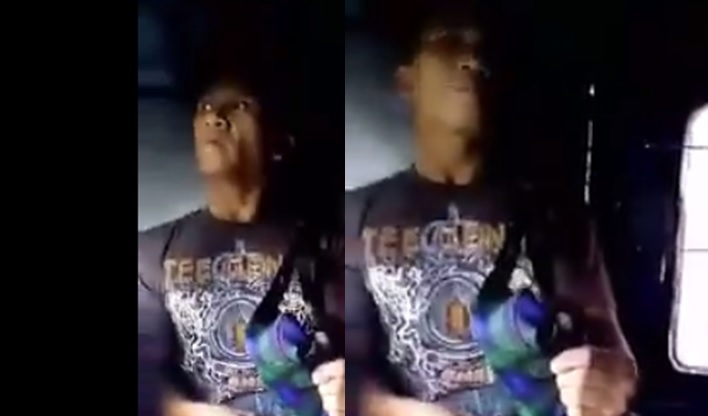 “Trip trip lang.” This was the main reason of the incarcerated deviant man who was exposed on national TV after his lewd act was caught on tape and uploaded it on Facebook, during a media interview at the police station. This might also be the reason of the newest and infamous pervert in town if ever he’ll be arrested for his obscene actions. Giesel Cruz posted video clips of a man who was sexually pleasing himself in front of her on Facebook that went viral afterwards. Update: Due to the content of the video, the social media giant decided to turn it down. Cruz narrated that she was on a jeepney on her way to school at around 6:00 a.m. when out of nowhere, the suspect hopped in and seated right in front of her. After a while, the man lustfully stared at her. Giesel wasn’t the only passenger on the said public utility vehicle. According to her social media testimony, there were other commuters on board and were aware of what was happening. She and her co-passengers were terrified at the psycho-looking man. Giesel also thought of the man as a drug addict and she also feared that should she dared screamed or asked for help from her co-passengers, the man could’ve hurt or killed her. Instead of seeking assistance from driver and fellow commuters, the victim just cried and took videos of the man’s indecent act. Psychologically speaking, “exhibitionist” are mentally-ill people. Aside from mental illness, light punishments are also one of the factors why perverts continue to sexually harass female commoners in public. Acts of Lasciviousness is the only case that a complainant can file against the offender with the fine of Php2,000 to Php10,000 or short-term imprisonment. Giesel asks the netizens to spread the video so that the public will be aware of the degenerated man. Cruz also hopes that the suspect will soon be identified and be put behind the bars as well.